Moderator Jake Tapper wants to spur as much actual debate as possible during CNN's Republican presidential primary debate in California on Wednesday. "What the team and I have been doing is trying to craft questions that, in most cases, pit candidates against the other -- specific candidates on the stage -- on issues where they disagree, whether it's policy, or politics, or leadership. Let's actually have them discuss and debate," Tapper told me on CNN's "Reliable Sources." 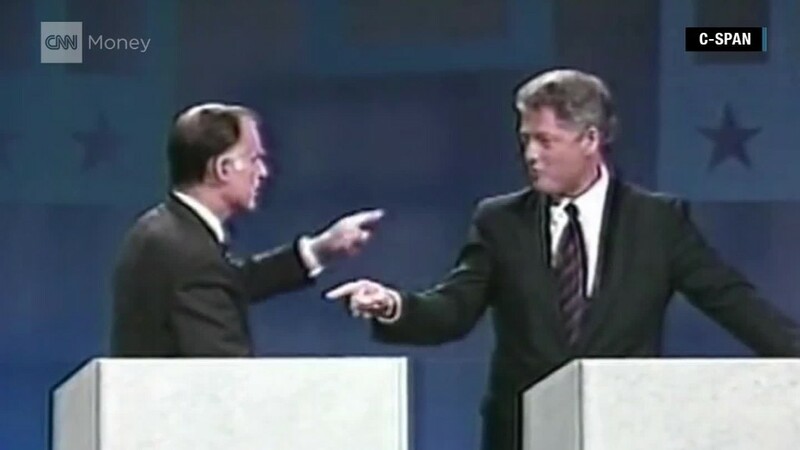 Tapper is already at the debate site; the Ronald Reagan Presidential Library in Simi Valley, California. He said he's been inundated with potential questions, not just from journalists and campaign operatives, but also from "your Uncle Harry and your Aunt Sally and the guy that you scooped ice cream with at Baskin-Robbins when you were 15 years old." He added that while the submissions have been helpful, many of them are interview questions "that would be really good on a one-on-one but are not necessarily debate questions," Tapper said. The goal is to get the 11 candidates on prime-time stage to talk back-and-forth. "Look, they're going to want to talk to the camera, and they're going to get out their talking points, but I am going to attempt to get them to address each other and actually debate," he said. CNN's debate comes five weeks after Fox News held the first GOP debate of the season in Ohio. Tapper -- and many other observers -- thought the best moment of that debate was the split-screen between Chris Christie and Rand Paul as the two men tangled over government surveillance. "It was actually two guys passionately debating an important issue," he said. Looking ahead to Wednesday's event, Tapper thought, "Let's have as many of those as possible." 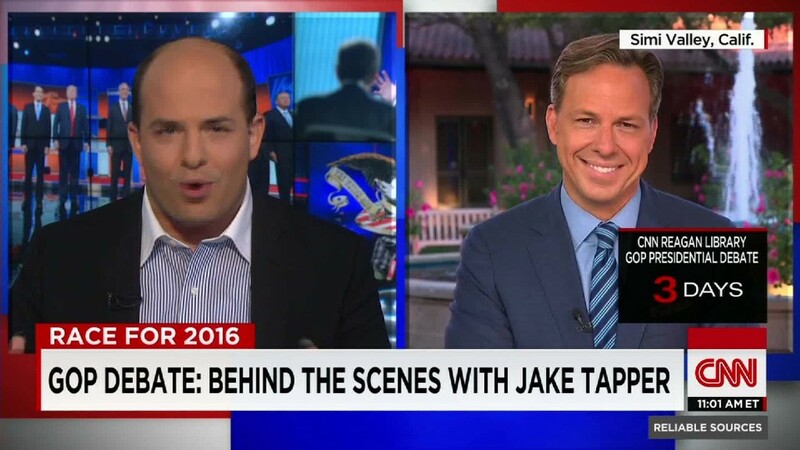 Tapper will be joined in the questioning by CNN's Dana Bash and radio talk show host Hugh Hewitt. He said he expects that managing the 11 candidates will be a considerable challenge: "I don't know if bringing out a whip and a lion tamer's chair would help, but we're just going to try to enforce the rules and ask the questions and see what happens." He said he doesn't have a specific strategy in mind for managing Donald Trump, the most unpredictable of all the candidates. But general speaking, "if there are interruptions or if there is debate, you know, I think in some cases, you want to sit back and let that happen and let candidates debate and let the organic process run its course." "If it gets out of control, if it gets out of hand, you want to say, 'Excuse me, I'm sorry, we'd like to let everybody have a turn' or 'let's try to follow the rules of the debate.' But I don't anticipate any more problems with any one candidate than any other."